Bernard James scored 14 points, Michael Snaer added 13 and Florida State showed there’s more to its game than defense with a 71-57 upset of second-seeded Notre Dame that sent the Seminoles to the NCAA’s Sweet Sixteen for the first time since 1993. 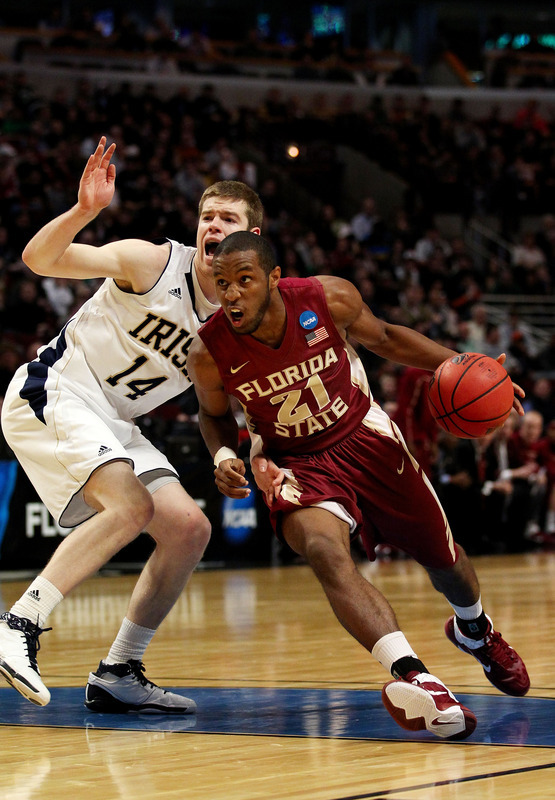 It was an impressive—and unexpected—offensive effort by the 10th-seeded Seminoles, who put the Irish in a big hole with seven three-pointers in the first half and led by as much as 23. Four players finished in double figures, and James went 6 of 8 with 10 rebounds despite needing three IVs on Sunday and feeling as if he was going to get sick the whole night. Florida State (23-10) now faces upstart Virginia Commonwealth in the Southwest regional semifinals Friday in San Antonio. The 11th-seeded Rams, maligned as not worthy of being in the 68-team field, stunned third-seeded Purdue earlier Sunday for their third win in five nights. According to STATS LLC, it will be the first 10 vs. 11 matchup in NCAA tournament history. For Notre Dame, meanwhile, it was another disappointing showing in the NCAAs. The Fighting Irish (27-7) had their highest seed since also receiving a No. 2 in 1981 under Digger Phelps, yet ended up the same way they have for much of the last two decades—headed home after the first weekend. The Irish didn’t look anything like the team that had won 13 of its previous 15 games, held to 31 percent shooting—including 7 of 30 from 3-point range. Big East player of the year Ben Hansbrough was stifled most of the night by the Seminoles’ defense, scoring 18 on 5-of-13 shooting before fouling out with 3:19 left. The Notre Dame loss capped a dismal weekend for the Big East. Trumpeted as the top conference in the country, the league sent a record 11 teams to the tournament but only two—UConn and Marquette—are left. Both advanced to the round of 16 at the expense of their Big East brethren. The ACC is faring far better. 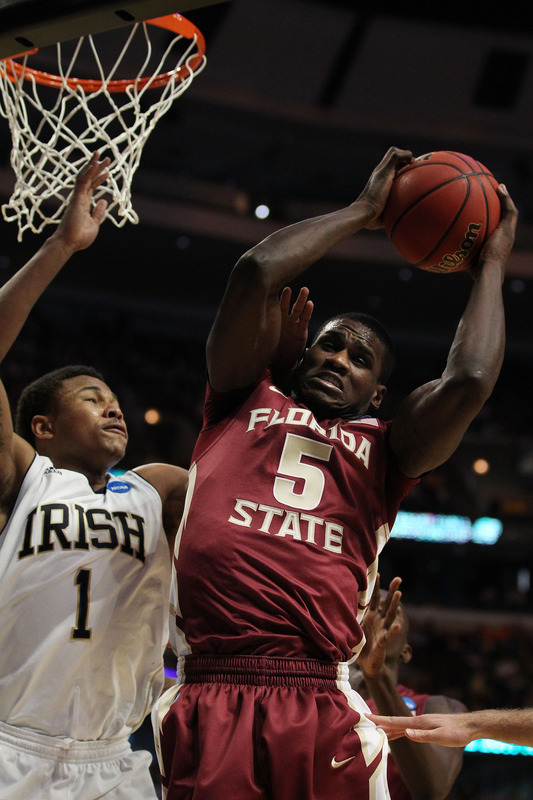 Florida State gives the conference three teams in the round of 16, most of any league.